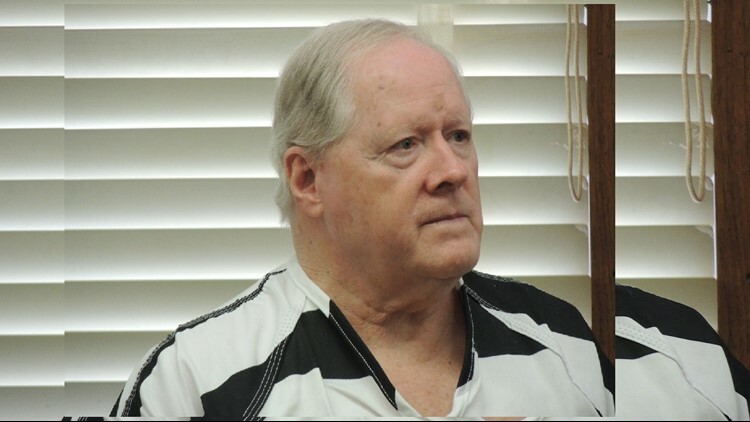 A U.S. District Judge sided with the state when he signed off on the findings that Joe Bryan did not deserve a new trial for the 1985 murder of his wife Mickey. The case now goes to the Texas Court of Criminal Appeals which will be Bryan's last chance for freedom. COMANCHE COUNTY, Texas — A state district judge denied the request Thursday for a new trial for Joe Bryan in the 1985 murder of his wife Mickey. Retired Senior Judge Doug Shaver approved and adopted without comment, Bosque County District Attorney Adam Sibley's findings. Bryan was convicted in 1986 and sentenced to 99 years in prison but when that trial was reversed Bryan was found guilty again in 1989 and he’s been in prison ever since. Shaver's recommendation sends the case to the Texas Court of Criminal Appeals, which will decide Bryan's fate. "While we are disappointed the judge has now recommended that the Court of Criminal Appeals deny Joe any and all relief to which we showed he was entitled at the hearing, we remain optimistic that the court will thoroughly review Joe's case and recognize that he is actually innocent, or at a minimum, that he is entitled to a new, fair trial," said Bryan's attorney Jessi Freud. During hearings in a Comanche County court in August and September, the testimony of blood stain pattern analyst Robert Thorman became a key point of interest. Thorman admitted in a Sept. 13 affidavit that after reviewing testimony from the first part of Bryan’s evidentiary hearing, he realized his testing, techniques and testimony may have been incorrect, but Thorman made it clear he wasn't lying. Despite Thorman's admission, Shaver approved Sibley's contention that Thorman's testimony was not important to the case. Another key to the case centered on a flashlight found in the trunk of Bryan's car that contained type O blood, which matches Mickey Bryan's blood. Sibley wrote in his findings that "no blood spatter expert who testified during the hearings can eliminate the flashlight from the scene of the crime." Bryan's family has remained steadfast in their belief of his innocence. "We the family of Joe Bryan are disappointed in the judges’ ruling today," Bryan's niece Becky Levy wrote in a statement sent to KCEN Channel 6. "We are very confused on how he can sit through the entire evidentiary hearing and come up with his decision. Once again the justice system has failed Joe. We are not deterred and intend to see that Joes’ case gets into a higher court. We will never give up on Justice for Joe."